Electrical Service Engineer Kettering £29,598.60 basic 20% increase for any night shift work, with time and a third through the week and Saturday mornings and double pay Saturday afternoons and Sundays. Up to 10% bonus, holidays, pension, life insurance, training. 3 shift rotation The Role You will be working as the electrically bias engineer and be responsible for carrying out planned and reactive maintenance support across a wide range of manufacturing equipment. Working for the engineering department in a large manufacturing plant you will work in a two man team consisting of a mechanical and electrical service engineer. You will be working as the electrically biased engineer and be responsible for carrying out planned and reactive maintenance support across a wide range of manufacturing equipment. You may have completed maintenance at an Automotive, Plastic, Paper, Fabrication, Steel, textile, manufacturing site previously. Your main duties will include, all electrical maintenance, including PLC controlled systems, fault finding, single and three phase supplies, as well as machinery diagnosis and repairs. Working to planned maintenance schedules, you will monitor machine performances (OEE) and report maintenance downtime issues as well as analyze equipment to improve performance. You will also be required to identify critical spares for designated machines and refurbish spares as required. You will also be required to work in a safe manner following all company policies and procedures and ensure all safety systems are in working order. The role will require some minor report writing using word and excel and carry out other reasonable requests as directed form the Maintenance Manager. On occasions you will be expected to monitor external contractors arriving on site and also complete some work at heights, such as changing light fittings. Candidates applying for this role will have worked in an electrically biased maintenance and service engineer position previously and ideally have exposure to working within a manufacturing/FMCG environment. Candidates will be expected to have completed an electrical apprenticeship/HNC/ City and Guilds part 3 and have a 17th edition qualification in addition. We are looking for candidates with at least 5 year's worth of work experience within an electrical discipline who are able to fault find, complete electrical maintenance, including PLC controlled systems, and have experience working with single and three phase machinery. We are looking for engineers who are I.T. literate and have done some minor report writing previously. We would like to meet candidates who are multi skilled and have some mechanical knowledge as well although this would be seen as an added extra rather than a necessity. Candidates who have worked previously with Siemens S7 PLC's would be warmly received although any engineers with any PLC experience are encouraged to apply. We are looking for proactive candidates who are professional and have a can do attitude. The team you will be working with get on well so we are looking for engineers who are friendly, have good communication skills and above all take pride in the work they are completing. The chosen candidates will have the regular responsibilities as well as project work to complete so you need to be able to self-manage yourself. Some of the work in this role will require working at minimum heights such as at the top of ladders ect so candidates should be comfortable with this. We are looking for candidates who are flexible and enjoy overtime work which will be required 1 week in three including some weekend work. The role is well paid and you are rewarded for your commitment but anyone who is against working overtime probably should not apply. Our client is a global leader in their field, having been operating for over half a century they have presence throughout Europe, Asia and America. Employing over 8000 people worldwide they are committed to the highest standards of ethical practice. 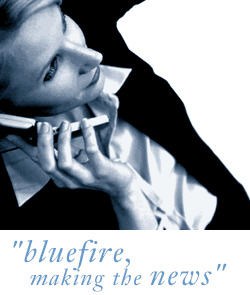 Bluefireconsulting is an employment agency working on behalf of the client company.